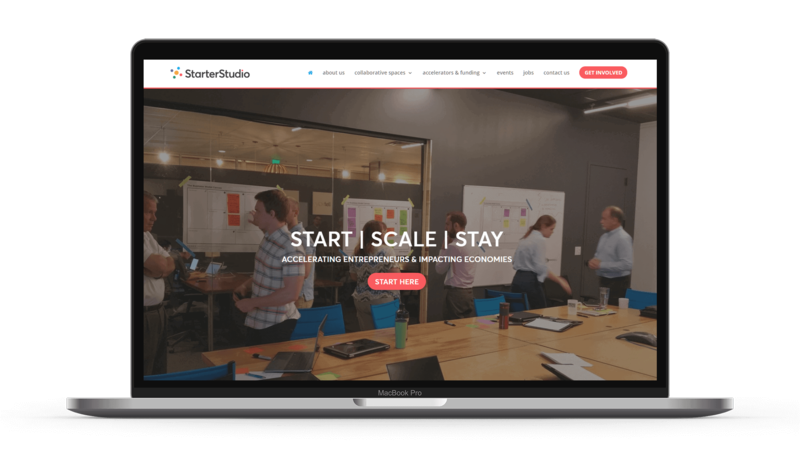 StarterStudio is an accelerator program that helps connect startups with the direction, coaching, and resources they need to succeed. StarterStudio focuses on the needs of entrepreneurs in the earliest stages of their development and allows startups to build a solid base and network to drive their success in years to come. StarterStudio relies on volunteers to coach and mentor Orlando, FL startups in various areas of their business. Since entrepreneurs face many challenges as they grow their business, only the most experienced and knowledgeable startup coaches are selected to work with groups of startups each year. Among other needs, StarterStudio needed a passionate marketer to help their classes understand the intricacies of Internet Marketing. We love to get our hands dirty with marketing data, and we look forward to helping your company grow! 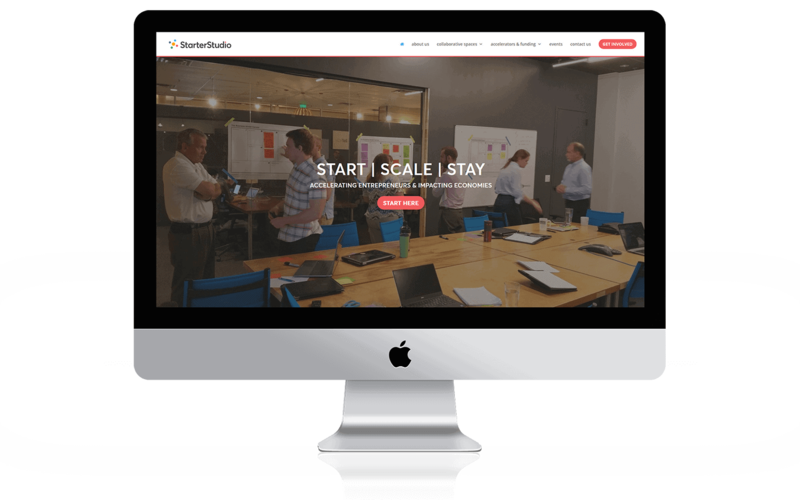 We work with about 6 startups each year through StarterStudio. Along with personalized coaching, we also host several Meetups and Lunch & Learns to provide entrepreneurs with the insight and guidance they need to get their startup running and drive qualified leads to their site through proven Internet marketing strategies. StarterStudio provides the environment, network, and resources that Orlando, FL startups need to succeed. In order to support the local community of entrepreneurs, we work directly with about 6 startups each year as direct startup consultants and coaching volunteers. We provide entrepreneurs with proven SEO marketing strategies that will help build a solid online presence and drive qualified leads to their site to boost sales. Each startup is different and has a unique set of needs. Based on the industry, market, customer expectations, and product/service, we craft a customized plan to help each startup succeed. Along with our dedicated business startup consulting services, we also present at several educational Meetups and local Lunch & Learn events. At these 60-minute presentations, we are able to share our knowledge about a range of digital marketing topics. We love to talk about our success in the private sector and present detailed steps on how we help our client reach their goals and how startups can apply the same ideas to their business. Scale your business to success with proven PPC marketing strategies! Throughout our work teaching entrepreneurship at StartStudio, we have worked with dozens of startups. Our time with startups and small business owners have allowed us to guide the development of business plans, marketing strategies, and online marketing strategies to help entrepreneurs reach their goals and make their dreams come true. Our unique experience with startups in all industries has given us a unique perspective on business growth and how to integrate marketing strategies that help entrepreneurs with limited time and resources. Our interactions have also helped us understand the questions that a business and marketing plan must answer for the entrepreneur to build their startup for sustained growth! Not only are today’s startups working with fewer resources and more competition, but they also have to understand their customers with precision to achieve their goals. We volunteer our time, knowledge, and resources to each startup business that we work with to ensure they know how to conduct customer research, market research, and help them produce content to drive qualified leads to their site with great website content. We work hard with StarterStudio and each class to ensure the early-stage entrepreneurs are ready to grow their business into the next stages. 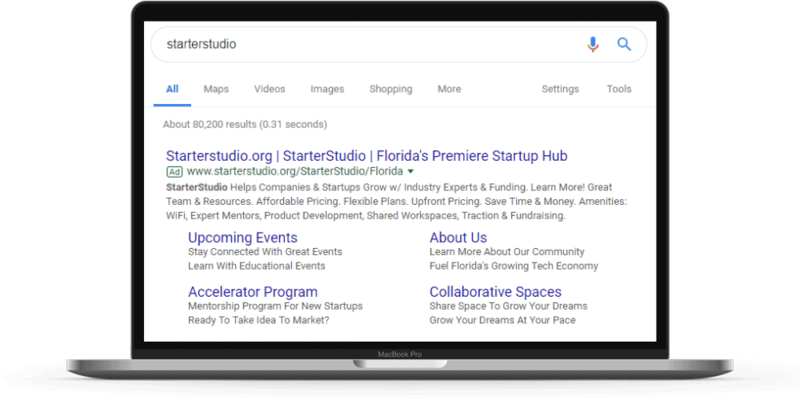 StarterStudio relies on startup consultants to help drive their mission, and we love working with the organization to make an impact on the Orlando, FL startup scene!